GAME NEWS: ACTIVISION Release "M16 OPS" Trailer for 'GOLDENEYE 007: RELOADED' @GamesCom! 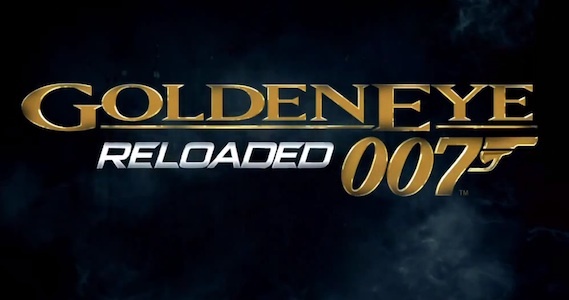 Activision have unveiled a new "MI6 Ops" mode trailer for GoldenEye 007: Reloaded at Gamescom in Germany. The Game is a high-definition remake of last year's Wii game that was itself a spiritual reboot of the highly addictive Nintendo 64 FPS classic. GoldenEye 007: Reloaded releases this fall on the PS3 and Xbox 360. Hit the jump to check it out. Synopsis: "GoldenEye 007: Reloaded, coming this fall to the Xbox 360 and PlayStation 3, is a contemporary James Bond experience featuring HD visuals and realistic environments running at 60-frames per second, akin to today's elite action games. Additional to the legendary story campaign, the game introduces the brand new 'MI6 Ops Missions' - new, distinct levels separate from the campaign that span the varied environments from the story and challenge players to complete different Assault, Elimination, Stealth and Defense objectives. GoldenEye 007: Reloaded also takes multiplayer to new heights, maintaining and improving its renowned four-player split-screen action and adding full, adrenaline-pumping 16-player online matches with more maps, weapons, characters and game modes than ever before." 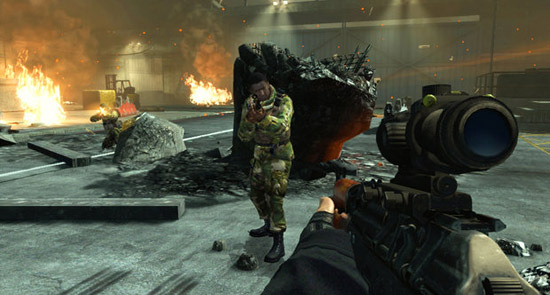 I'm reading: GAME NEWS: ACTIVISION Release "M16 OPS" Trailer for 'GOLDENEYE 007: RELOADED' @GamesCom!Tweet this!